While HostGator is one of the oldest Web Hosting companies around, FastComet is a Web Hosting company that has emerged at a very rapid pace. The two hosting companies differ in a lot of aspects. However, if you are new to Web Hosting, I completely understand how difficult it is on your part to spot the actual differences between these two Web Hosting companies. This post will give you a perfectly clear picture of the differences between these two Web Hosting companies. HostGator started way back in 2002 and since then, it has played an exceptionally important role in simplifying the concept of web hosting by introducing things like CMS and more. FastComet started much later in the year 2010. However, the company emerged at a brilliant pace and has largely proved its excellence all over the world. In the current Web Hosting industry wherein there are many Web Hosting companies, simply counting on anyone’s promising words can be pretty deceiving sometimes. This is the reason that I actually thought of testing on the important aspects of both the Hosting companies. 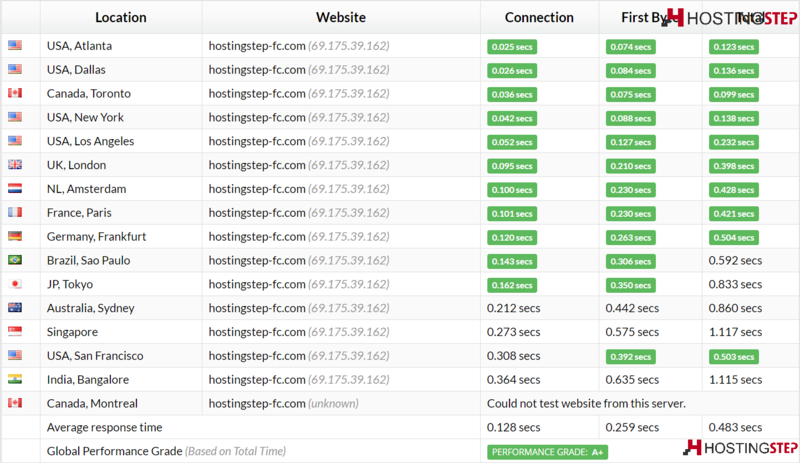 To begin with, I hosted a demo site of each of the two hosting platforms to compare their speed and uptime. As I monitored the performance of both the demo sites, I actually found the uptime to pretty much the sale in both the hosting companies. However, there was a major difference in terms of speed. Both FastComet and HostGator offer support via phone, Email and Live Chat. However, HostGator support has performed terribly over the years and it would not be wrong to say that HostGator has the worst support in the Web Hosting industry. I actually thought of checking it on my own for a reassurance via Live Chat and guess what; it only wasted me a lot of time out of waiting to be attended by an executive on a live chat. Also, I thought, the HostGator Support executives are neither knowledgeable nor are they much professional in their approach. On the contrary, FastComet has very reliable support. Support via Live chat and tickets is extremely fast. The executives have exceptional product knowledge. Also, they are pretty much friendly. While FastComet has eight data center locations which comprise Chicago, Dallas, and Newark in the USA, Frankfurt, London, and Amsterdam in the Europe and Singapore and Tokyo in Asia, HostGator has two data center locations comprising Provo, Utah and Houston, Texas. Both FastComet and HostGator allow you to start at a very low price. While FastComet allows you to start for $2.95/mo, HostGator allows you to start for an even lower price of $2.75/mo. However, this is how it apparently looks like. As a matter of fact, the FastComet Startup plan is much powerful than that of HostGator. It can actually be compared with HostGator’s Business plan and even then, it still has many advanced features that are actually missing in the HostGator’s Business plan. With FastComet Hosting, you actually get a domain for free. Most importantly, HostGator’s renewals are usually pretty high and on the contrary, FastComet offers users the same price for buying and renewal. Although there is no denying the fact that HostGator used to be pretty good in the past, Web Hosting technologies have got a lot advanced now and somewhere down the line, HostGator has not been able to keep up with this advancement when compared with the other hosting companies. I actually found FastComet a lot better than HostGator in terms of speed and support. Most importantly, FastComet pricing is straight and simple with no hidden charges. Also, it has the same renewals, unlike HostGator. HostGator renewals are pretty high.